Tandem Financial | Faith in humanity, restored! 31 Jan Faith in humanity, restored! Every day our news media is filled with stories that makes you question your faith in humanity: plane crashes, terrorist attacks, natural disasters, deaths of thousands of children in Syria, the migrant crisis in Europe. This list goes on. Given the incessant drip of negativity, you’ll be forgiven for thinking that the world is getting worse by the day. You are not alone. 9 out of 10 people do not think that the world is getting better. However, a close look at cold facts suggests the contrary. 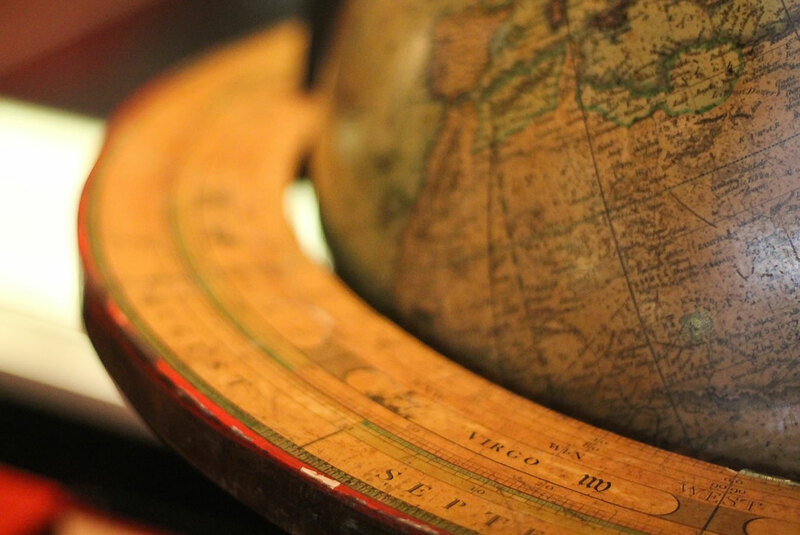 Oxford University economist Max Roser has compiled what is perhaps the most comprehensive online database of living standards globally. 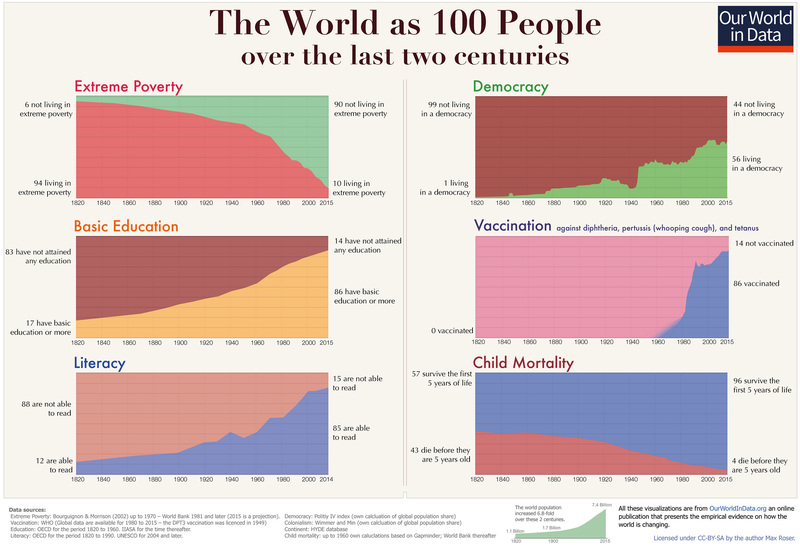 This site ourworldindata.org documents changes in health care, poverty, and economic development across the world over the last 200 years. To make it easier to understand the transformation in living conditions, Roser made the chart below. He presents the history of a group of 100 people to see how their lives would have changed if they lived through this transformative period of the modern world over the last 200 years. Take child mortality for instance, over the last decade we have seen a very rapid decline of child mortality globally. In 1800, the health conditions of our ancestors were such that around 43% of the world’s newborns died before their 5th birthday. In 2015 the figure was down to 4.3%, a 10-fold lower than 2 centuries ago! Now that number is still way too high, particularly in developing countries. But you’ve got to acknowledge the significant progress that has been made so far. Education is another example. In 1820 only every 1 in 10 people was literate; in 1930 it was 1 in 3 and now, the figure is over 8 in 10 people globally. The reality is that the world is a far better place than it used to be. The progress we’ve made so far should encourage and inspire us that even more is possible. Rather than allowing ourselves to be crippled by fear of how bad things are, it’s far more productive to take courage and inspiration from the progress humanity has made so far!